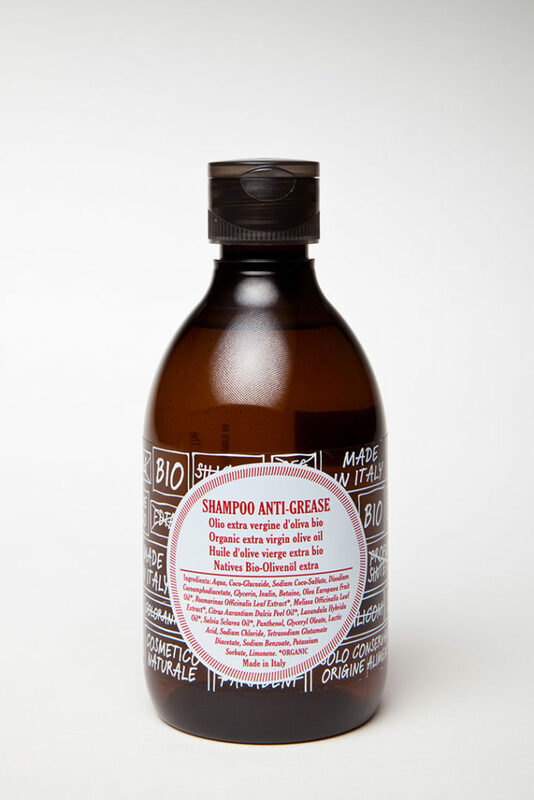 Purifying shampoo designed for oily hair. The special mix of extracts and other active ingredients guarantees a purifying and normalizing effect from the first washes. Rosemary and lemon balm extracts regulate the production of sebum from the scalp, invigorating and purifying it. AQUA, COCO-GLUCOSIDE, SODIUM COCO-SULFATE, DISODIUM COCOAMPHODIACETATE, GLYCERIN, INULIN, BETAINE, OLEA EUROPAEA FRUIT OIL*, ROSMARINUS OFFICINALIS LEAF EXTRACT*, MELISSA OFFICINALIS LEAF EXTRACT*, CITRUS AURANTIUM DULCIS PEEL OIL*, LAVANDULA HYBRIDA OIL*, SALVIA SCLAREA OIL*, PANTHENOL, GLYCERYL OLEATE, LACTIC ACID, SODIUM CHLORIDE, TETRASODIUM GLUTAMATE DIACETATE, SODIUM BENZOATE, POTASSIUM SORBATE, LIMONENE. Hydrating Complex: inulin (vegetable fiber extracted from chicory). Purifying and rebalancing complex: organic extract of rosemary, organic extract of lemon balm. Citrus and aromatic olfactory notes.